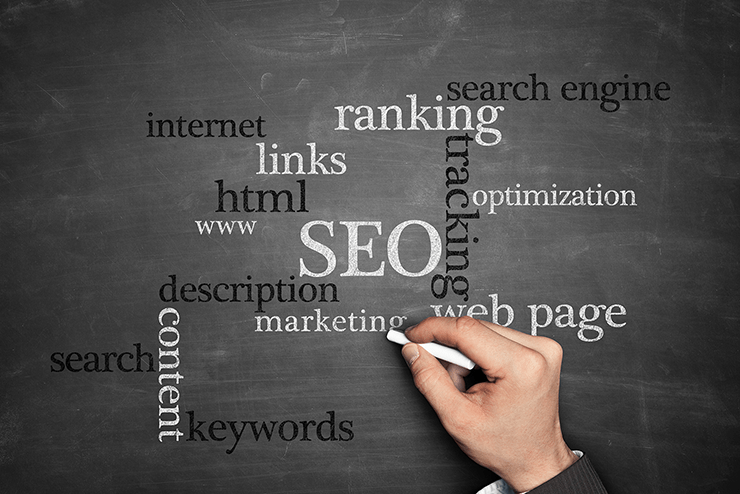 Search Engine Optimization (SEO) is a big deal for online businesses. It can boost targeted traffic and improve website credibility, both of which could contribute towards significant growth in business conversions and sales. However, you may be undermining your site's potential through the use of inefficient, outdated, or incorrect optimization tactics. One way to improve your search engine ranking is with the use of 'pretty links'. These are shortened links with a customized URL that can improve the visibility of your brand, and they offer a number of benefits. When used properly, they can also provide you with the ranking boost you need. In this post, we’ll show you three ways that pretty links can boost your search engine rankings. Then, you’ll learn how Pretty Links can provide you with almost all of the link shortening features you could need, as well as how to set up pretty links with SEO in mind. TechCrunch utilizes branded links on their Twitter posts. Branding is a marketing technique utilized by all manner of businesses. It's used to expertly position a brand (for example, your business) in the marketplace, and can help to establish you as a well-known authority within your niche. Branding is an important part of marketing and can greatly influence search engine rankings – as long as you know how to leverage it. For example, a well-reputed brand will receive more traffic to their site, and gather more authentic backlinks as a direct result of marketplace exposure. This will improve your search engine rankings and place your site higher on Search Engine Result Pages (SERPs). When it comes to branding, pretty links can be an effective tool. In short, they replace the original link (the target URL) with a version of your own brand name (known as a branded link). These links can be recognizable in their own right (think of bit.ly or goo.gl, for example), expand your reach across the web, especially on social media, and improve your business' credibility. Guest posting is a popular way to receive link juice from higher-authority websites. Have you ever wondered why backlinks are so highly regarded by search engines? It all comes down to ‘link juice’ and the power it possesses. Link juice is a term that refers to the passing of value from one website to another. When you link out to a site, you’re passing along some of your site’s value, and the same occurs (in reverse) when another site links to you. However, 'link juice' can only be made possible with backlinks. These are essentially links to your website from another place on the internet. Websites with authentic backlinks rank highly on search engines. This is because the more backlinks your site has, the more likely it is that your content is valuable and of high quality. This will greatly increase your website's chances of being on top in the SERPs. Where pretty links come in is how they pass along link juice. Every link – pretty or not – passes along link juice, as long as it doesn’t contain a ‘nofollow’ attribute. This attribute is typically added to links on social media networks, and can mean the difference between building backlinks and not. However, URL shorteners (including Pretty Links) typically use permanent redirects, which bypasses any ‘nofollow’ attributes added to links. This is useful for building backlinks that are copied from your social media profile, or any other site that automatically adds a ‘nofollow’ attribute to links. Pretty links, such as the one tweeted by Richard Branson, are easy to share across all social media platforms. Aside from link juice, users who share links can also help to expand your reach by delivering your content to new audiences, which can contribute greatly to your overall growth. While sharing isn’t a direct search engine ranking factor, it does heavily contribute to your site’s general standing. This is because a short, memorable link is easier to share and the more shares your link gets, the greater the number of backlinks you'll receive, which will impact your ranking positively. Pretty links are easier to share, mainly due to their size. For a start, the shorter the link, the less chance of transcription mistakes occurring. Of course, their size also makes them possible to share on social media platforms with character limits, such as Twitter. Even on platforms without character limits, short links could be better perceived by your target audience, and more likely to be clicked and shared. As a premium URL shortener, Pretty Links enables you to professionally shorten links. However, this plugin does more than just shorten links – it also enables redirects (including both permanent and temporary ones), and provides the ability to track and monitor clicks and other statistics. To begin reaping the benefits of pretty links, you’ll first need to purchase a plan and install the plugin. Then, all you need to is follow these simple steps, and you’ll be on your way to improving your website’s search engine rankings. Pretty Linksvide you with a number of benefits, including a pleasing look and easy-to-implement link tracking. In addition, they can also help you expand your reach and boost your search engine rankings. Do you have any questions about using pretty links to boost search engine rankings, or how Pretty Links can help? Let us know in the comments section below!